An announced soak test. A confirmed update version to 6.12.181. A leaked Android 4.0.3 build. A quickly removed hint that it could be Ice Cream Sandwich by Motorola. Silence from Motorola. A cancelled soak test. And now the official changelog. What a mess. 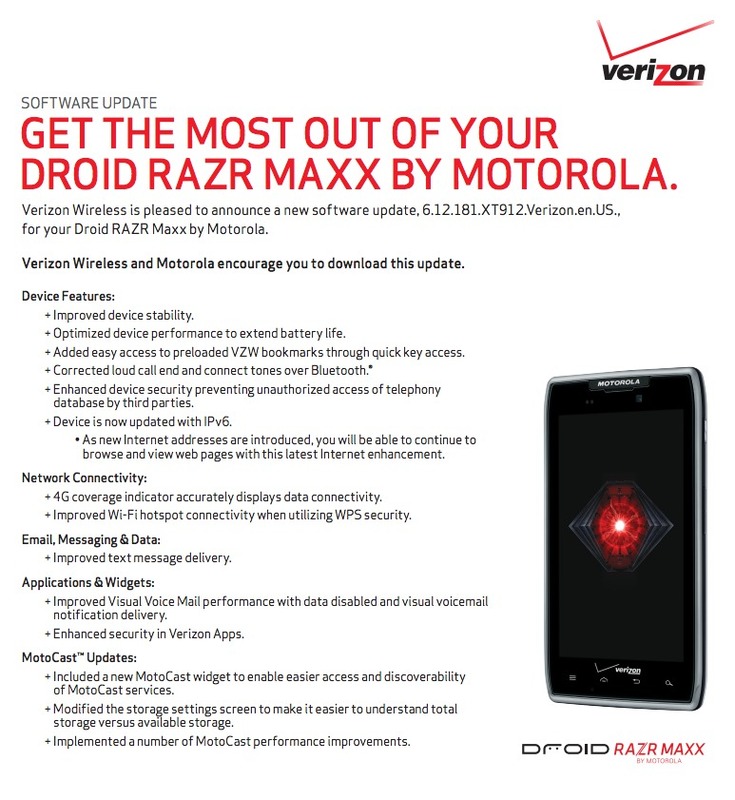 But at least we know that the next update for both the DROID RAZR and RAZR MAXX is going to be 6.12.181 and NOT Android 4.0.3. That’s unfortunate, but hopefully this means that ICS is around the corner after some bugs are addressed. After updating to 6.12.181, you will have a more stable device, extended battery life, an accurate 4G indicator, enhanced security in VZW bloatware, and a new MotoCast widget. Fun times. Usually when these official changelogs go up, an update arrives within a week. This also doesn’t appear as if they are doing a soak test for 6.12.181 any longer at all (unless something changes in the next day) and hopefully will do one shortly for the next big thing. The update is 17.4MB in size. More info.